This week saw the first open discussion about the North Shore development we are bringing forward with our partners. Tickets for the event at the Beacon Portal, Whitehaven were snapped up in 48 hours and BEC CEO Michael Pemberton and Head of Property Rob Miller were joined by Mike Starkie, the elected mayor of Copeland and Celia Mackenzie of the Whitehaven Harbour Commissioners to speak at the gathering, while BEC Board chairman Nigel Catterson offered up closing remarks. The speakers gave overviews of the scheme, a more in-depth look at the Buzz Station development (being brought forward in partnership with Sellafield Ltd) and road improvements (being made by Cumbria County Council) together with context about Whitehaven’s historical harbour and the future of Copeland. 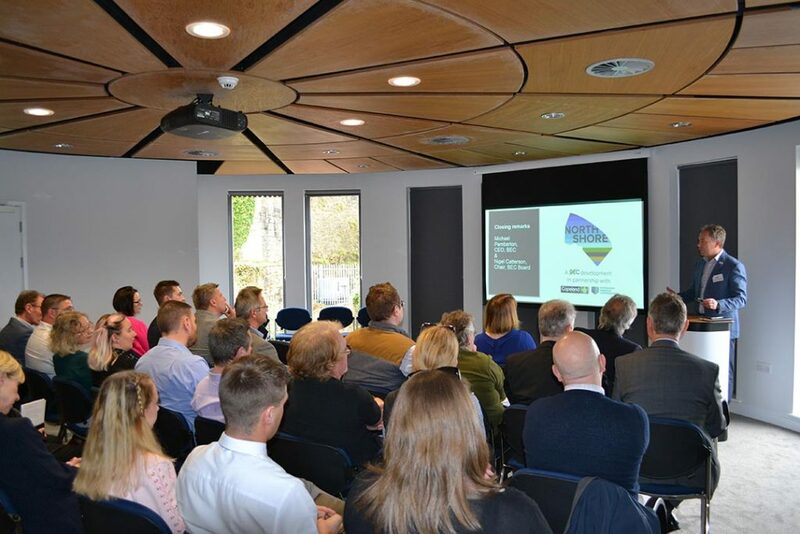 The lively gathering of local business people and members of the public engaged in debate around key issues such as parking, tourism and sustainable development. 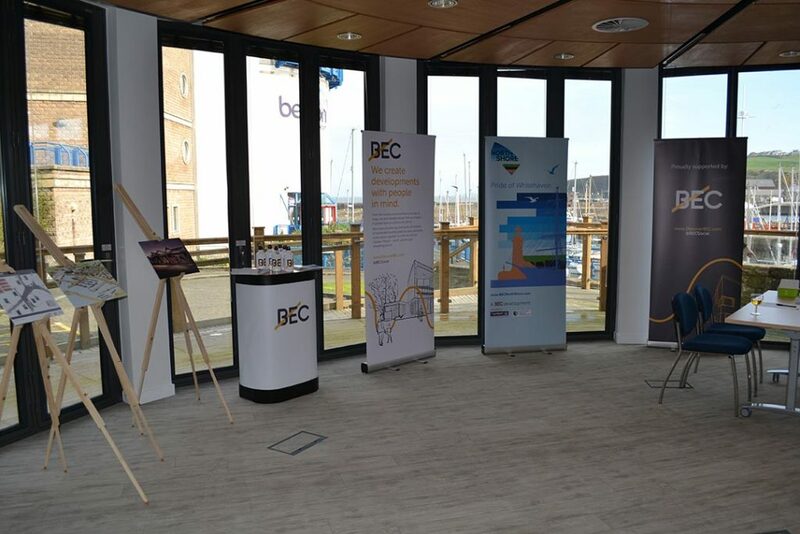 More events will be planned shortly and consultation is also taking place via BECnorthshore.com and a dedicated Hub on the old bus depot site on the harbour front.